Circuit Scribe is a very cool pen that allows builders to draw conductive traces on anything that can be used to power gizmos and gadgets. 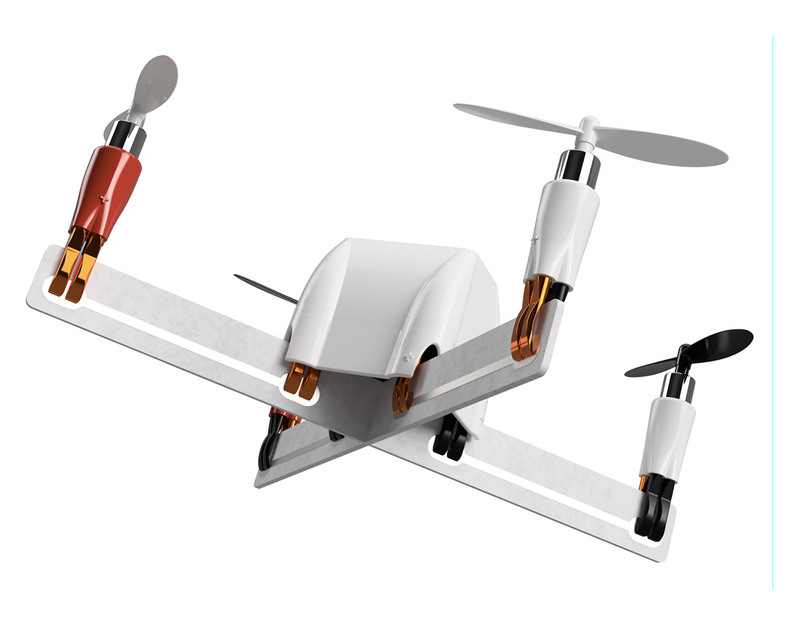 Now the company has announced that it will soon launch a kit that allows DIYers to make their own drone. The build process includes drawing the wires to the motors using the pen’s conductive silver ink. The kit uses cardboard arms to hold the motors in place, so if crashes happen, you can just cut out another set of cardboard arms and you are good. The drone is controlled via a smartphone app available for Apple and Android devices, and offers one-key takeoffs and landings. The drone works indoors and out and has an integrated 480p video camera. It has a 150-foot communication range, but sadly it can only fly for about 3 minutes per charge. The Circuit Scribe Drone Builder kit will launch October 23 at CircuitScribe.com for $99.99.